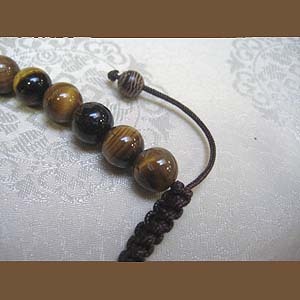 This tiger eye bead mala is made from a banded golden brown quartz-like with an appealing silky luster. 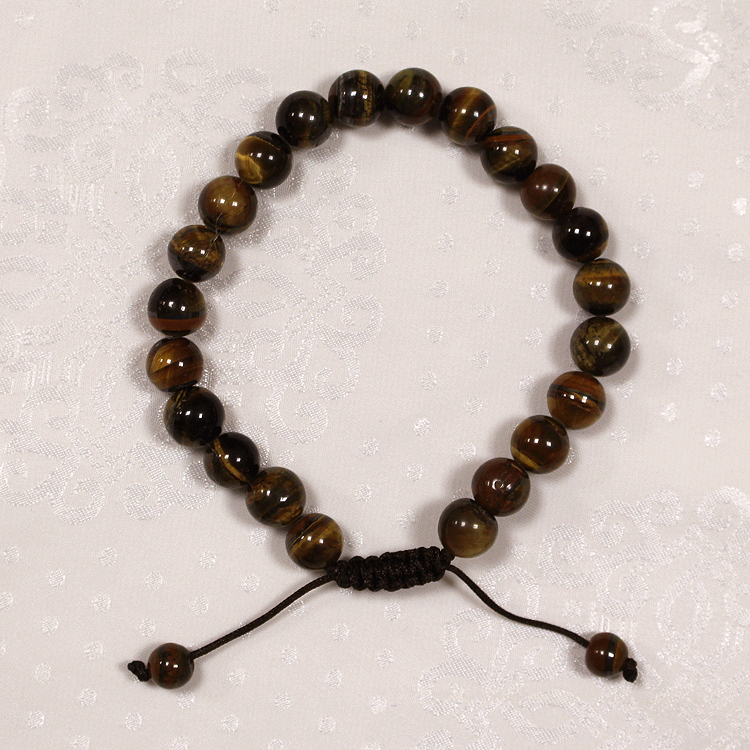 When viewed from a different angles, the stripes of this stone appear to undulate. 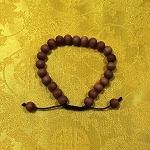 The mala is strung on a strong brown string with an adjustable flat knot. 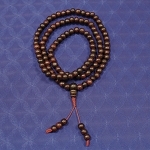 Bead size is approx. 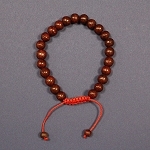 7.5 mm.